"Each of the stories in this book feature interesting concepts about the future (near future) and an intriguing mystery. Each is part of a larger series, which I love since I'm always looking for new series to read. All are well-written, with fast-paced plots and entertaining characters. I thoroughly enjoyed every story and immediately downloaded other books by each author. Yes, these stories were that good." "Although each short story is a bit of a tease, encouraging us to buy full length versions, or simply more from the same authors, I felt they all stood alone - and yes, I do want to buy the full versions and more from these authors! Each story pulled me in nicely - I enjoy sci-fi, and I enjoy noir, so what could possibly go wrong? Well written, with interesting story ideas. Recommended." Unlike hardcovers and paperbacks that gather dust in bookstores and find themselves shipped back to publishers if they don't sell well, eBooks continue building momentum as readers discover them. 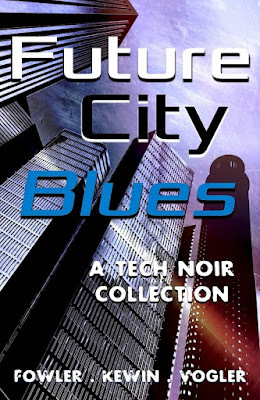 Want to check out Future City Blues for yourself? Did I mention it's FREE? Enjoy!